On macOS Mojave, Apple moved the system update functionality from the App Store to the Settings app, but they ‘forgot’ to implement the Hide Update function that existed on the previous version. 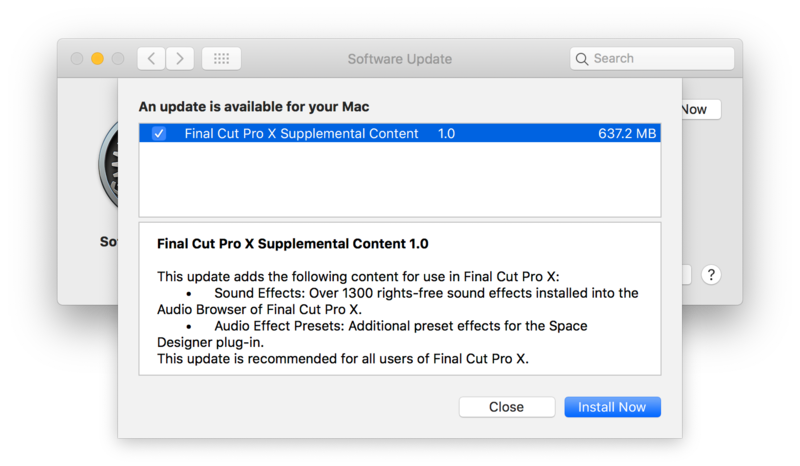 This can be quite annoying for some updates such as Final Cut Pro X Supplemental Content, which is just an optional asset pack, but macOS pesters you by showing annoying update prompts to install it. softwareupdate --ignore "UPDATE LABEL HERE"